Series Volume 4: Why Build an Effective Board For Your Company? Our ongoing series 'Why Build an Effective Board For Your Company?' continues! 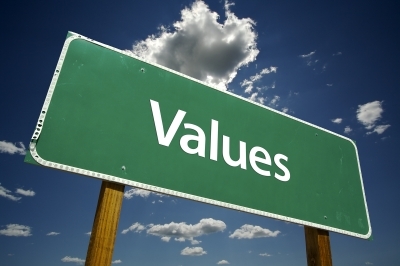 Today we focus on important Topic #4: Evaluating Your Company's Values, Vision and Mission. "Collaboration: We obtain the perspective of others and share our own to achieve outstanding results"
"Feedback & Development: We ask for and provide appropriate and constructive feedback to further develop ourselves and others"
"A country where every citizen has unfettered internet access"
"Our company's mission is to provide affordable and readily-available internet solutions to underprivileged communities improving their quality of life"
So, what does all of this have to do with building an effective board? I have found that effective board members are attracted to companies with meaningful values, a strong vision and a resonating mission statement. And once in place on the board, these same board members become the guide and governance of these 3 important facets of your company. It is very easy for a new client, a large contract or even a slow revenue quarter to divert you from your company's foundational values, vision and mission underpinnings - an effective board allows for the important parallel paths of operations and strategic focus to both thrive, regardless of outside diverting forces.